Brand new with tags. Never worn! Size 12 no alterations made to the dress. Would easily fit a 10-14 with alterations. 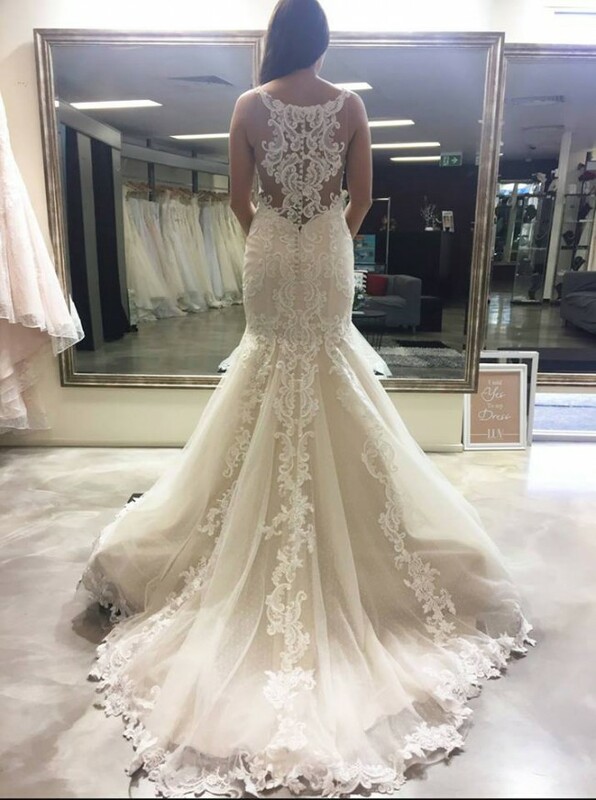 From her detailed lace décolletage to the very trim of her train, her sleek silhouette sets out to create length and grants her bride a sheer elegance so desired on this, her wedding day. Memorable upon her approach and unforgettable upon her departure, DALE makes a feature of the sheer lace back, joined by covered buttons that travel beyond her waist and draw attention to her changing shape. Pick up Cranbourne Vic. Will post dress at your cost.